For the outside observer, yoga in the west appears to be only for the “young, skinny, white and flexible.” The majority of yoga images you see in magazines and advertisements fall into this category. This doesn’t really surprise me. That’s capitalism for you. What you see is what will sell. Marketers have spent many years and dollars researching what type of images will sell magazines, clothes and even yoga mats. Anyone who doesn’t fit this yoga stereotype can take heart. Dig a little deeper and you’ll find an incredibly diverse array of yoga students and teachers. These yogis are rapidly changing the face of yoga and how it’s perceived. Check out the work of Chelsea Jackson, Anacosti Yoga and Anna-Guest-Jelley. They’ve all done a brilliant job of bringing yoga to communities that may have otherwise gone without. You don’t have to study with a world-travelling celebrity yoga guru to benefit from the teachings of yoga. There are many great yoga teachers in communities all across North America (and other parts of the world). These teachers come in all ages, shapes, sizes and skin tones. These teachers are changing the face of yoga. I wanted into this new yoga world. I couldn’t sit around and watch it happen. I had to take action and be a part of the change I wanted to see. Since I’m definitely not the yoga stereotype, I decided to reach out to a broader population. Putting all my personal insecurities aside, I created a website of classes for people to use in their personal practice. 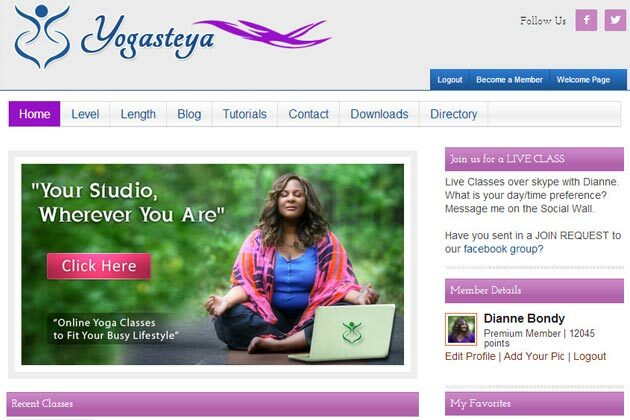 Today Yogasteya.com has over 60 classes and features a number of inspiring teachers, of different ages, shapes and backgrounds. This passion project blesses me with a lot of personal gratification. It’s rewarding to get messages from people who feel more accepted in yoga simply because they found a teacher that looks a little like them. If you are a yoga teacher that breaks the yoga stereotype, and is driven to create more diversity within yoga, I want you to be more visible. Don’t be afraid to say “this is who I am and this is what I do.” This is how you find the students. Our job as yoga teachers is to make yoga available to everyone who wishes to practice. We need to think bigger than just the studio. How will you reach those that don’t have access to a studio, are fearful, or intimidated by the yoga stereotype?